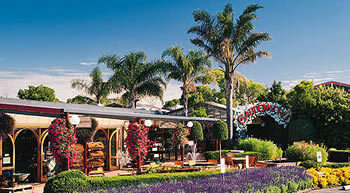 Gardenworld is a group of 7 independently owned businesses, each one passionate about gardening and outdoor living. It is located in Melbourne's south eastern suburb of Braeside. This website has been designed and is run by the largest business at Gardenworld, which trades under the name of Gardenworld Nursery. Gardenworld Nursery is renowned for high quality plants, that come with a 6 month guarantee*. Of course the locals all know this, but if you live in Melbourne, now you can also order using our convenient online store. Please note: most of the items on this site are also on sale at our nursery at 810 Springvale Rd, Braeside. We'd love to see you down there one day when you can experience all that Gardenworld has to offer, including other great stores like Collector's Corner, Lotus Water Gardens, Hydroponics, and a tasty cafe. For more info go to the Gardenworld website. *Gardenworld Nursery Plant Guarantee: If within 6 months of purchase, following basic maintenance and watering, your plant dies, we will credit you the value, provided you return the plant and label, with the receipt or invoice as proof of purchase. This guarantee excludes seedlings and herbs.